Ciudad performs at 123 Block on October 12 to celebrate the release of new single, “Tiny Apartment"
With five albums under their belt, and the release of two singles – the snarky, upbeat rock anthem “Caught Me at the Worst Time” in 2017, and the smooth, 80s yacht rock reincarnation “Get You Closer” this year – local indie rock darlings, Ciudad, is back with their latest release, “Tiny Apartment.” The new song is a ballad reminiscent of fan favorites, “My Emptiness” and “Friday Noon,” wherein the band’s poignant melodies, harmonies and lyrics warm the hearts of listeners everywhere. 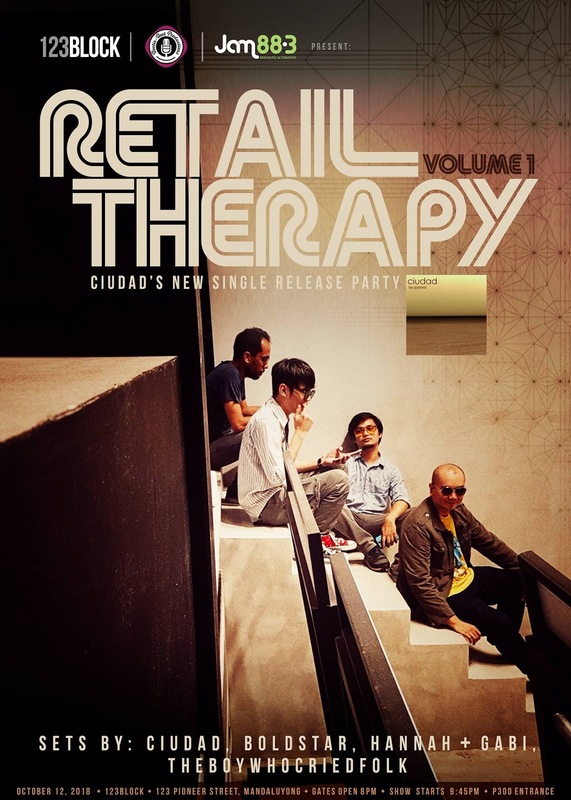 To celebrate the song’s release, Ciudad will be performing for the first Retail Therapy at 123 Block, along Pioneer Street in Mandaluyong city this Friday, October 12. Also playing that night are Boldstar, Hannah+Gabi, and theboywhocriedfolk. Here’s an interesting side note: all these bands are side projects of Ciudad’s members. Hannah+Gabi and theboywhocriedfolk are the solo projects of frontman Mikey Amistoso and guitarist Jeff Cabal, respectively. Guitarist Justin Sunico will play with his band, Boldstar, a local indie rock favorite from the 2000s that will be reuniting for several shows this October. Retail Therapy is an intimate music show which will be held every month at 123 Block, and curated by Bootie Boot Productions. Tickets for October 12 may be purchased at the gate for P300. For more information, visit Ciudad's Facebook page or listen to their songs on Spotify and iTunes.